If you’re going to be living on a boat all year round, heating, refrigeration and air conditioning are all going to be things you will need to consider. 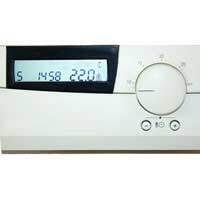 And, even here in the UK, where in summer, temperatures rarely get too hot and we don’t suffer so much with high levels of humidity as some other countries - unless we experience a brief heatwave - air conditioning or ventilation is something that is often overlooked if you’ve not lived on a boat before. When the weather’s hot, you’ll usually find that within a boat’s interior, the place that is most subject to experiencing problems with excess heat and humidity is often the sleeping cabin, especially if it’s situated below the waterline where you’ll not even be able to open any portholes or hatches. Therefore, at night especially, when the boat isn’t moving, it can make for very uncomfortable and sweaty sleeping conditions. Therefore, when you’re buying a boat, it’s often useful to look at the number of hatches and portholes a boat has and where they’re located as, at least, that will have an effect on the ventilation you’re able to get. Anywhere, however, within a boat’s interior can get very hot and humid in the summer which doesn’t present too much of a problem if you’re out on the open seas in a fast moving yacht but can be a bit more problematic if you’re living on a slow moving canal barge or narrowboat or you’re permanently moored. However, if you are static and in, say, a marina, you’ll have access to an electricity hook-up which, at least, means that you can run a number of electrical fans. Alternatively, you can buy larger battery operated fans specifically designed for the likes of boats. The ultimate solution though would be to have air conditioning installed. This will obviously be more expensive so the cost might be prohibitive. If, however, you’re buying a boat which is air conditioned, you need to make sure which areas are actually air conditioned because it’s sometimes only the communal saloon area which is and not the sleeping cabins. Others will point to the fact that in a shared space, they prefer not to run the generator at night. Alternatively, you can always choose to sleep on the deck where temperatures in hot weather will always be a few degrees cooler after dark than inside the boat. If you’re going to be living on a boat throughout the winter months, then heating is going to be particularly important, especially in the UK. And, if you’re not prepared, it will make boat living an almost unbearable experience. There are many different types of heaters you can buy using different types of fuel and your choice may often be influenced by the fuel you already use for other things such as cooking, for example. Some boats have heaters which burn wood, diesel, LPG or coal and some also come with back boilers to heat water to enable you to run a central heating system. Once again, the size of your boat and the way it’s configured, your location and cost will all have a bearing on what type of heating system you choose. The key thing to remember as well is that any heater that is installed should be firmly fixed to remain static and so that it cannot fall over and, in the event of that happening, all heaters should have an automatic shutoff facility. Refrigeration considerations will all depend on whether you’re permanently moored up and have ease of access to shops or you’re out in the wilderness or on the open seas for long periods of time. If the former, a number of ice or cool boxes might be sufficient but if you’re away from shore and have limited access to already freshly refrigerated items from shops on a regular basis, then a fridge is going to become a necessity. If you’re thinking of buying a fridge or freezer, or a combination of both for your boat, many experts will recommend you buy a top loading one as opposed to a front loading one. This is because that you’ll lose far more of the cold with a front loading fridge and also because top loaders tend to allow you to make more use of the available space with the only downside being that sometimes you may need to dig to the bottom to retrieve certain items. The other thing to remember in terms of maximising the storage is to think about what you are refrigerating. This is because many people will refrigerate items that don’t particularly require it. A general rule being that if you didn’t find it in a refrigeration cabinet in the shop where you bought the item from, then it doesn’t require refrigeration. However, that said, many of us prefer to keep items bought off a shop shelf in the refrigerator - canned and bottled drinks of all types being prime examples.